Just started my first harvest of I'itoi onion today. They were quite yummy sweet when green this spring (a bit pungent in a good way in the fall), and so I get to find out what they are like when cured. They fell over just like regular onions. Which is good for me cuz I'm still learning this onion business. January 15th, Well, that tray was empty for a couple hours. It now has onion seeds waiting to pop up again. Today, It looks like we'll be getting Pearl onions from this experiment. I'm going to do it again next January. We really like pearl onions. All of your onions are still standing up I noticed this from one of your other pictures. I made a mistake reading that stupid A&M web site and fertilizer. I stopped putting out nitrogen when I should have been pouring on the coals. This beds are so full of tree roots it is hard to feed everything. Worth, I agree, the A&M site needs a lot of corrections. I do have some onions in a bed that I am currently weeding. 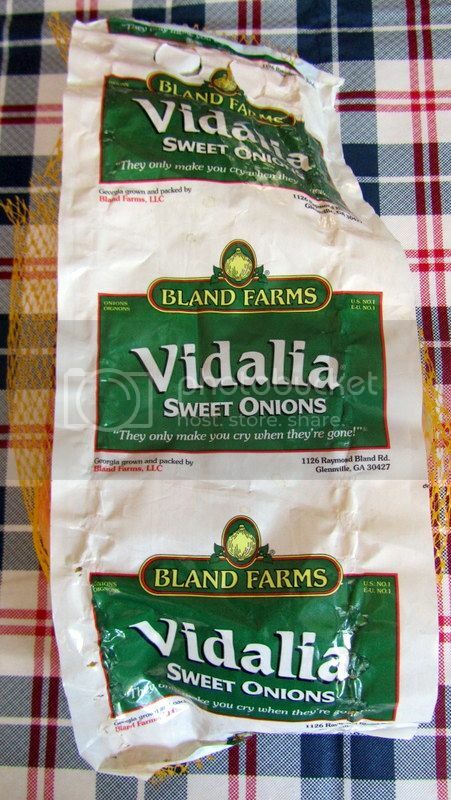 They are the onions I wrote about getting from Rio Vista. I'm thinking these onions have stopped growing, but like to get your opinion. Probably so But I would keep an eye on them. The tops will soon die and you can pull them. Or they will come back to life in the fall for green onions in the winter. Then next spring they will go to seed. Last year was my first year to grow from seed. They were ones I bought. Our onions grown in 2015 went to seed during a rainy windy week in late May - which resulted in having a gazillion volunteer onions this year. So, this year, I want to get the seeds before they do a repeat of last year. Below are pictures of Texas 1015 Y onion seed heads. To me, it looks about time to cut them for seed harvest. What do you think? Not even close, you need to let the flowers dry up. You will then see mature onion seeds. Thanks Worth, I'll do that. "..Harvest seed heads when 1/2 of the pods are open and showing black seeds. Allow to dry and seeds will be easily shaken out. Use 1/8" screen to help with cleaning. Onion seeds will remain viable for 1-3 years." Seems like all the alliums are veeeeery slooooooow to set seeds. Months here from flower to seed in the fall. Even the spring flowering bunching onions took a goodly while. Bet they're faster in Texas, of course! Not much faster it will be sometime this summer. It a yellow hybrid onion. The row was 35' long. There are a few that are good sized. 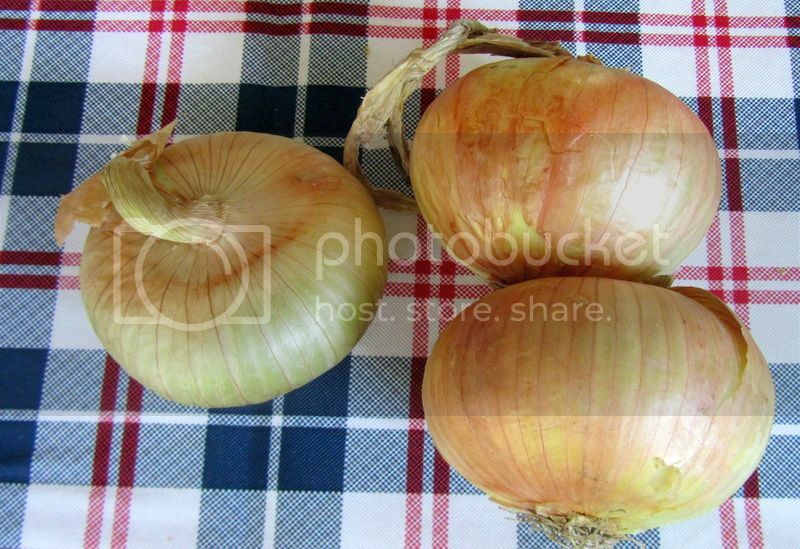 The small ones are perfect for stews and soups, and when you need a little bit of onion. Next year, I'll fertilize and see if they grow bigger. I will be posting more varieties and pictures throughout the day today. After clean up and put on the drying rack - there are 70 of them. That's more than I expected. Last edited by AlittleSalt; June 6, 2016 at 01:19 PM. I am going to start some in September. I don't remember the name of these white onions. They were an experiment for me this year. Picture one shows how big they got on the end of the row that got a lot more sun. The last picture shows how they didn't grow much in the area that only got afternoon/evening sunlight. It didn't help that tomato plants were growing beside them. The white onions smell stronger than the yellow ones. Next year, we might look for some short day red onions - just for a change.